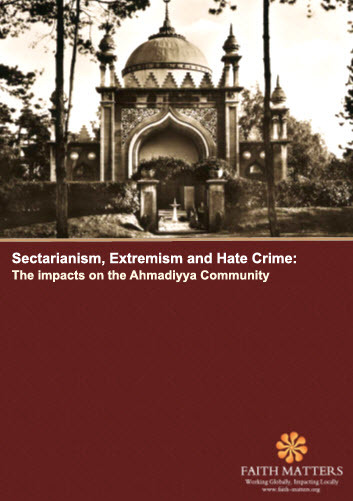 This report, entitled ‘Sectarianism, Extremism and Hate Crime, the Impacts on the Ahmadiyya Community’, contextualises the historical and modern drivers of sectarianism against Ahmadi communities, both domestically and internationally. It highlights a history of social activities by Ahmadi groups and the manner in which they initially bridged Muslim and non-Muslim communities through debate, discourse and interfaith engagement. They also took part in reaching out to disaffected communities in countries like the United States, leading to people like Malcom X first coming into contact with Islam. sensitivities around the blasphemy debate in Islam. It seeks to define Islam through its own narrow interpretations. This report hopes to challenge prevailing narratives and existing stereotypes about the Ahmadi community. Where there is disagreement, we ask for dialogue, not violence or hate. Standing up for the rights of all religious minorities is consistent with the mission and principles of Faith Matters. * Tell MAMA documented 29 anti-Ahmadi incidents in 2016 (from Jan – July 1st 2016) which demonstrates a stark rise from the 9 incidents reported in the whole of 2015. * The murder of Asad Shah intensified media interest in Ahmadi communities. Incidents reported to Tell MAMA after Shah’s murder were both street-based and online. * The personality cult around Tanveer Ahmed is a disturbing trend. This includes social media posts praising his actions. His supporters glorify Ahmed as an ‘authentic’ defender of the Islamic faith. * Supporters of Tanveer Ahmed view him as continuing the work of Mumtaz Qadri – the man who was executed for the 2011 murder of Pakistani politician Salman Taseer. * Seeking to redefine Islam through a narrow, interpretative lens allows fundamentalists to dictate the narrative and exclude others (be they Ahmadi or Shia) as ‘outside’ of Islam helps normalise banal, everyday forms of prejudice, including the decision to boycott Ahmadi-run businesses. * Some of the earliest Ahmadi missionaries to enter the United States offered a message to black converts that opened them up to new horizons of Islamic teaching. In fact, one of Malcolm X’s first encounters with Islamic teachings was through an Ahmadi missionary. 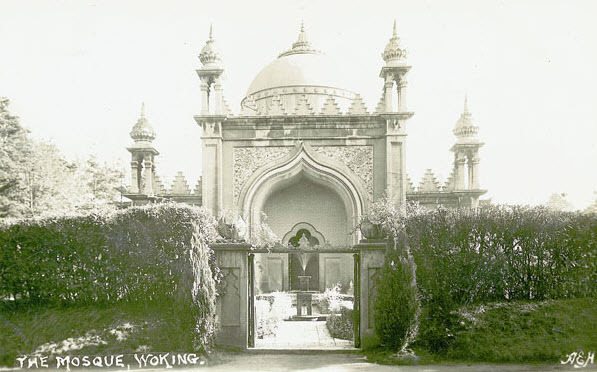 * Ahmadi missionaries in England helped restore or create some of the earliest registered places of worship for Muslims. * Some of the key drivers towards anti-Ahmadi legislation in Pakistan and Indonesia reflect the failures of successive governments when faced with the violent demands of the religious right. * Anti-Ahmadi prejudice on social media continues to be a problem which Faith Matters has raised with Facebook. This creates the platform to normalise hate speech against a religious minority and must be challenged.